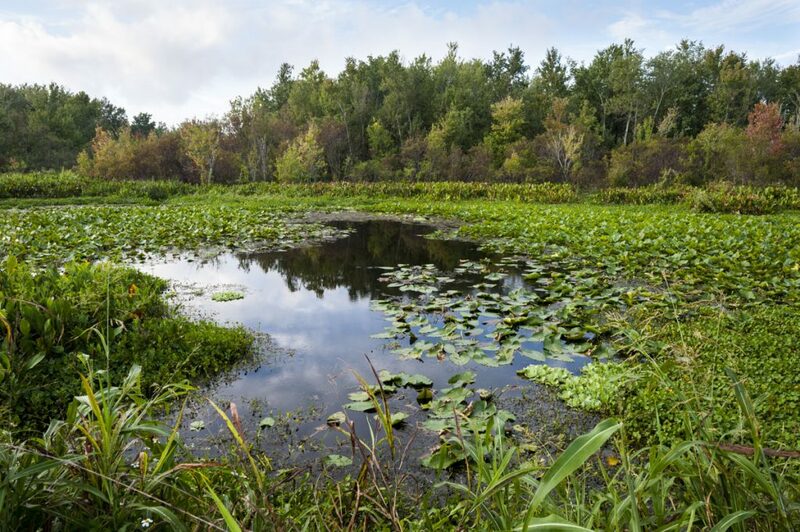 Through the years, public perception of wetlands has varied, with wetlands mostly seen as breeding grounds for mosquitoes and other pests or as being nuisances that needed to be drained in order to use the land. Historically, wetlands were believed to be useful only to produce peat and fossil fuels or to be drained as sites for agriculture. District programs restored a net gain of 40,680 acres of wetlands cumulatively districtwide. Preservation through all district programs resulted in a total net gain of 449,135 acres of wetlands restored and preserved districtwide. 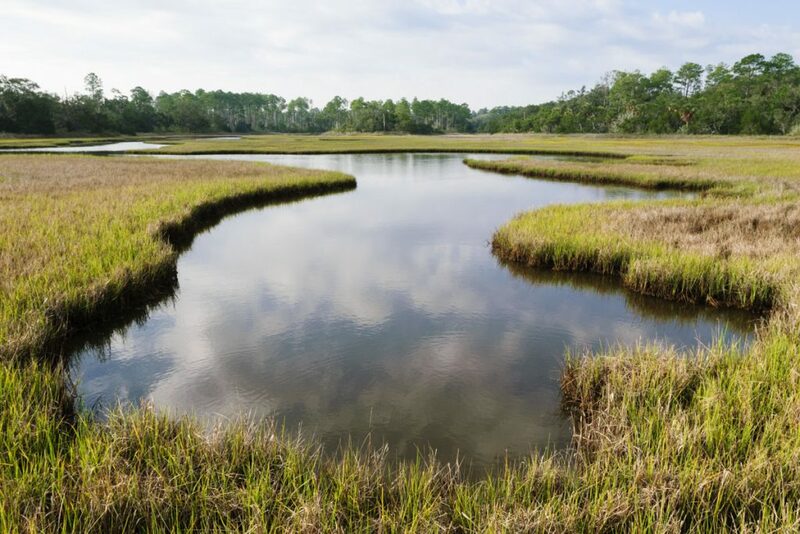 Coastal wetlands are among the most biologically productive natural ecosystems on Earth. Unfortunately, the activities of people have diminished or eliminated these important tidal areas over the past century. A wetland is an area that is inundated (flooded) or saturated (soaked) by ground or surface water frequently or for prolonged periods — often enough and long enough to support vegetation typically adapted for life in saturated soils. Wetlands are habitats that have both hydric (wet) soils and vegetation. 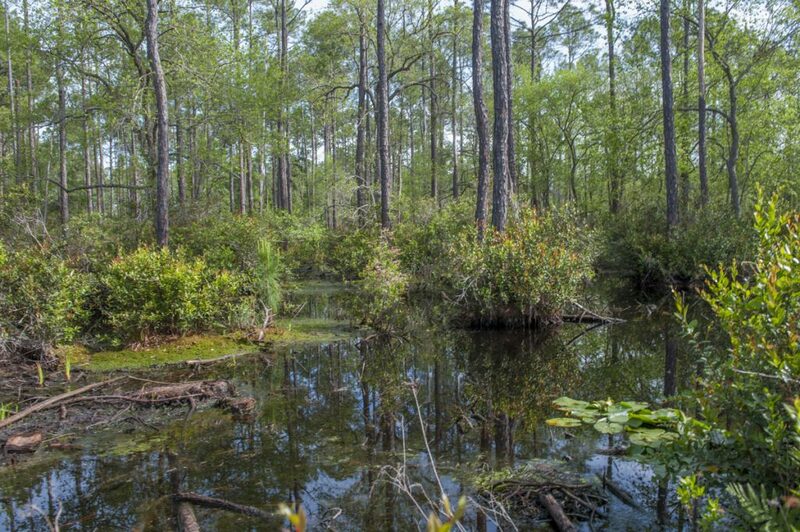 Wetlands types found in Florida include bayheads, cypress wetlands, deep marshes, hardwood swamps, hydric hammocks, shallow marshes and wet prairies. Because water levels in wetlands can fluctuate, the presence of water by ponding, flooding or soil saturation is not always a good indication that an area is a wetland; other characteristics have to be taken into account. Two of the signs that an area is a wetland are the type of soil and the types of vegetation growing there. Soils are many times the only feature for determining if a site is hydric. Long-term flooding or saturation of the soil creates anaerobic (containing no oxygen) conditions. Such soils — known as “gleyed” soil — appear as surface “muck,” contain very dark surface layers and are generally blue, gray or blackish-gray in color. Certain types of vegetation also indicate a wetland. Wetland vegetation is adapted to very wet or flooded soil conditions, and these plants have adapted to grow and reproduce in soils with very low oxygen or a totally aquatic environment. Wetlands vegetation often needs extra support to stand in a wet environment. For example, mangroves, found along coastal shores, have prop roots that act like outstretched fingers to hold the plant in place. Likewise, the cypress tree has a buttressed base (wider at the bottom) for more support in soft soils. Plant types found in a wetland include water tupelo, water pennywort, torpedo grass, bulrush, pickerelweed, sedge, sweetbay magnolia, pond pine, fetter-bush, swamp fern, water hickory, buttonbush, sawgrass, flatsedge, cyrilla, white-top sedge, sundew, spikerush, ash, rosemallow, rush, bogbutton, sweetgum, ludwigia, common reed, water-lilies, royal fern, cinnamon fern, smartweed, beakrush, lizard’s tail, cordgrass, fire flag, arrowhead and yellow-eyed grass. Water marks may signal that an area is a wetland. These are marks on the sides of trees and vegetation that show a darker color at the base, indicating the area was once soaked by water. Aquatic mosses or liverworts also indicate wetlands. These plants have no true roots and leaves and are generally found in shaded, moist environments. Typically, they appear as a dark, greenish-brown, “shaggy” growth on tree bark or rocks. 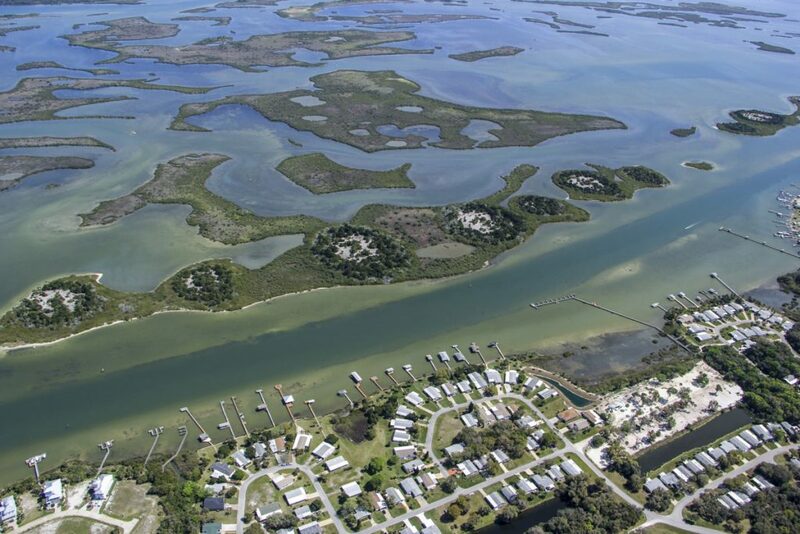 As a regulatory agency of the state, the St. Johns River Water Management District uses its Environmental Resource Permitting (ERP) program as one of its primary tools to make sure that new construction does not harm wetlands or cause flooding or pollute waterways. Anyone proposing construction of new facilities, including governmental agencies, developers building new residential or commercial areas, or anyone who wants to fill in wetlands, must have an environmental resource permit. An ERP is issued for a specific purpose and contains a number of conditions that permit holders must follow. Applicants must provide reasonable assurances that their project will not cause adverse “secondary” impacts to water resources due to construction or alteration. Examples include boat traffic generated by a proposed dock or wildlife mortality from a permitted highway. Permit applicants must also provide reasonable assurances that their project — combined with existing, permitted or pending projects — will not cause unacceptable “cumulative” impacts on wetlands and other surface waters in the same drainage basin. Given the environmental importance of wetlands, state policy seeks to prevent or minimize the loss of wetlands functions. 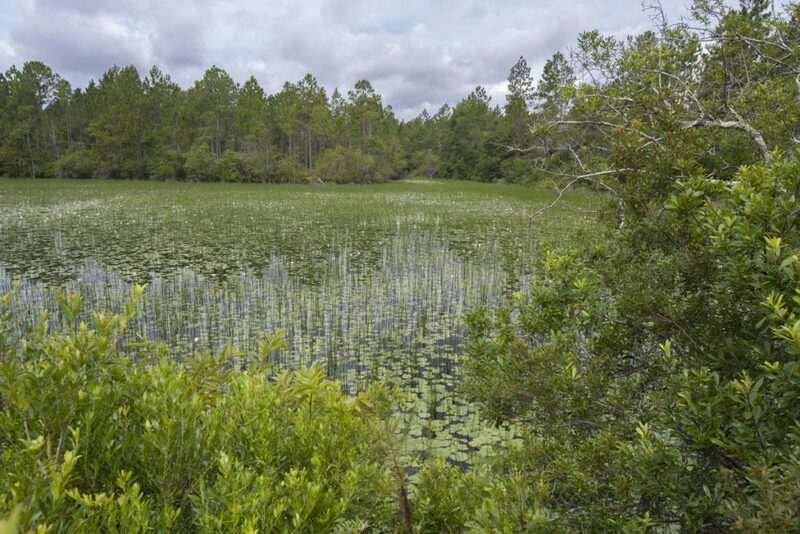 While some individuals describe Florida’s wetlands policy goal as a “no net loss” of wetlands acreage, there is no formal written policy that establishes this goal. In fact, Florida loses wetlands every year through losses allowed through the permitting process and wetlands impacts exempted from permitting. The efforts of state regulatory agencies, the Florida Department of Environmental Protection (DEP) and the five water management districts, are directed at balancing environmental protection with private property rights and economic development pressures. This approach acknowledges that growth will entail some loss of environmental and wetlands functions. The state relies on environmental regulations, such as wetlands permitting, to prevent these losses from reaching a critical threshold. Current policy is that state regulatory agencies strive to attain the best environmental results given these strong competing interests. DEP and four of the five water management districts jointly administer the wetland mitigation program. Depending on the development activity, individuals apply for an environmental resource permit through DEP or one of the water management districts. Mitigation occurs when a permit gives an applicant the authority to impact wetlands on the condition that the applicant offsets those impacts with activities such as wetlands creation, enhancement or preservation. Wetlands mitigation is a powerful but sometimes misunderstood tool the St. Johns River Water Management District uses to balance development and the environment. It may not be readily obvious to the public why one wetlands area is more “valuable” than another, or how impacting a wetland in one place can be offset by preserving one somewhere else. This value is determined by many factors, including the location, condition, size and type of wetlands. While the mitigation may occur some distance from the impacted wetland, it is usually within the same drainage basin. This is because surface waters pay no heed to political or geographic boundaries, and an improvement to one part of the basin — even if it’s in a different county — benefits the basin at large.